Like the composition and how the house finch is posed in the wire 'flower'! I missed seeing / commenting on this one yesterday. I like the "framing" that the metal provides! 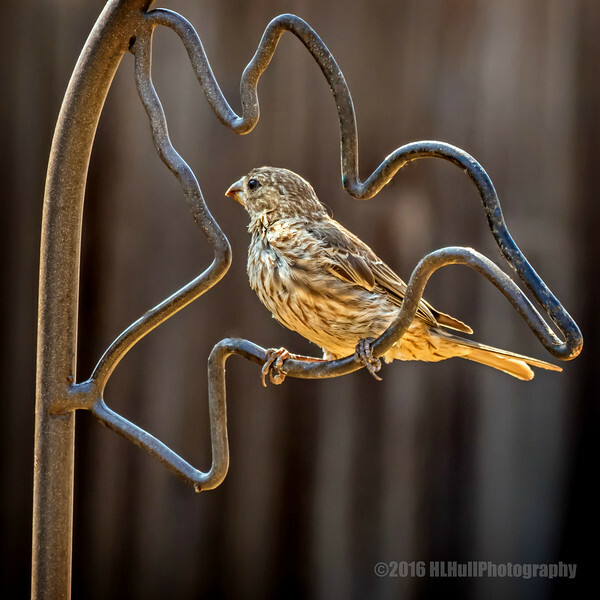 One of the neatest shots ever of a house finch...love that thing it is perched upon!